Submitted by Kstudio on Thu, 2009-10-01 04:21. Submitted by Kstudio on Mon, 2009-08-03 10:00. Lifted some restrictions on the demo version. Only from 3 of August to 10 of August you can buy FilePathFinder Pro with 40% discount. The price of this week 15$. Submitted by Kstudio on Mon, 2009-07-06 05:26. Backup needed only in case of a malfunction in the processing of 3dsMax parent scene and included xRefs. Submitted by trick on Mon, 2009-07-06 05:15. OK. I thought when you process 1 Max-file this Max-file is also backed up so you will have all assets in one location, ready for backup and/or transporting, if neccessary. Submitted by Kstudio on Mon, 2009-07-06 04:44. 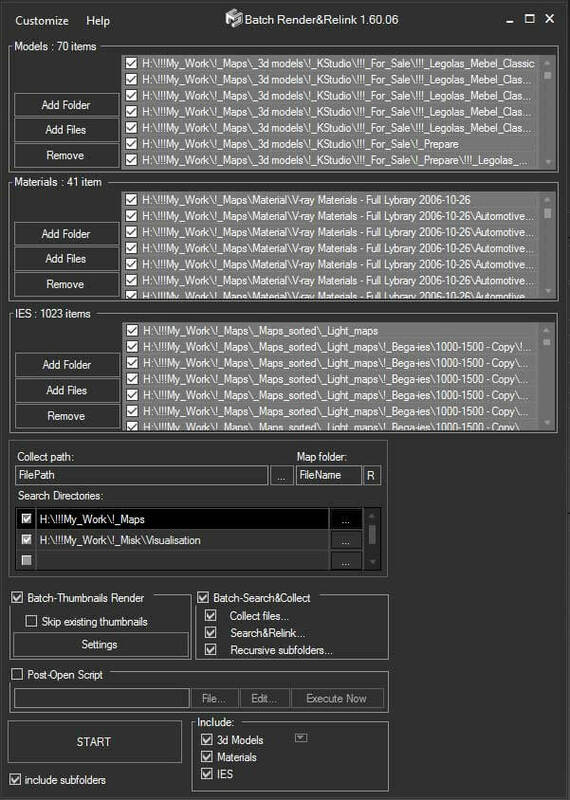 Creating the Back-up – before the operations of 3dsMax file processing, files are copied to the Backup folder along with the textures, or, if the textures can not be collected, to the project file folder. Please kindly note, the Backup folder is created only when several 3dsMax scenes are worked on in automatic mode. (there are standard tools for such matters). Submitted by trick on Mon, 2009-07-06 03:24. Did you find out why Max backup does not work ? Submitted by Kstudio on Mon, 2009-07-06 02:04. The next update will have the opportunity to display in the list, linked to selected objects of files. Thanks Erik Clemens for the idea. and add the ability to view thumbails for bitmaps. Submitted by Kstudio on Sat, 2009-07-04 02:45. Further the utility becomes even more powerful and will perform all job instead of the user. Submitted by trick on Sat, 2009-07-04 02:29. Submitted by trick on Mon, 2009-06-29 23:38. Sorry if I expressed myself not so clearly. I never had problems with the network card in my Dell machines. I just said that network cards are integrated. I did however have some persistent problems with NVidia graphics cards and dual monitors, which were related to the motherboard, so in the end they were replaced 4 times in a row, before the problem was solved. So you can imagine the trouble with all my licenses ! !